I added both the species - which reportedly can grow as large as 10-feet tall - as well as a cultivar called Rose Creek that is supposed to stay much smaller. I planted them for their reputed toughness, semi-evergreen nature (fully evergreen in warmer zones) and ability to attract bees and butterflies over a long flowering season. I planted a variety called Lynwood (also known as Lynwood Gold) that should grow up to 8-10 feet tall by 6-8 feet wide. I'd like to add another groundcover variety called Gold Tide, but I'm having a devilish time trying to find one at any local nurseries. Now I know these picks are not going to win me any praise from native plant enthusiasts. Heck, I'm a native plant enthusiast, ergo I feel a bit guilty about my choices. 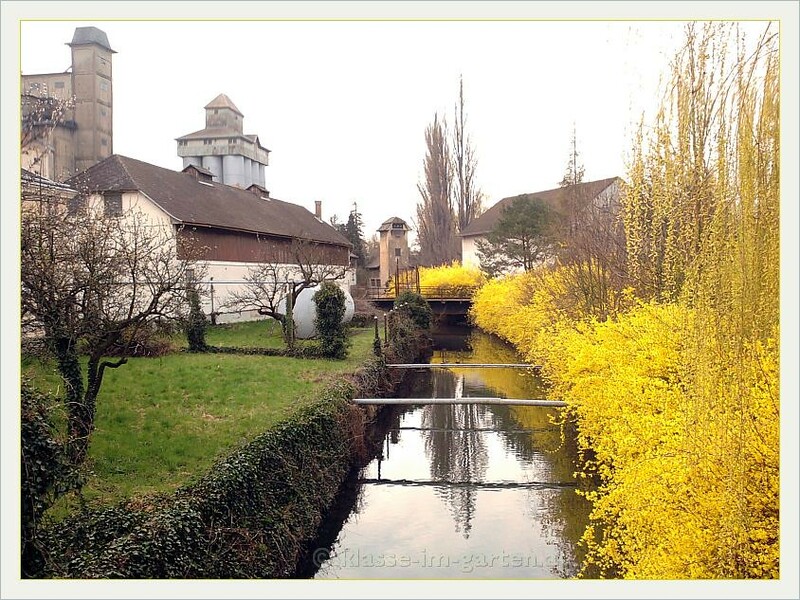 But I was careful to choose plants that do not have any reputation for invasiveness. Well, to be clear, Heavenly Bamboo does have a reputation for being invasive in the Southeastern United States, but the Gulf Stream variety that I planted reportedly produces hardly any berries. Since Nandina reportedly spreads invasively when birds eat its berries and disseminate its seeds, it stands to reason that a berry-less plant like Gulf Stream could not be invasive. 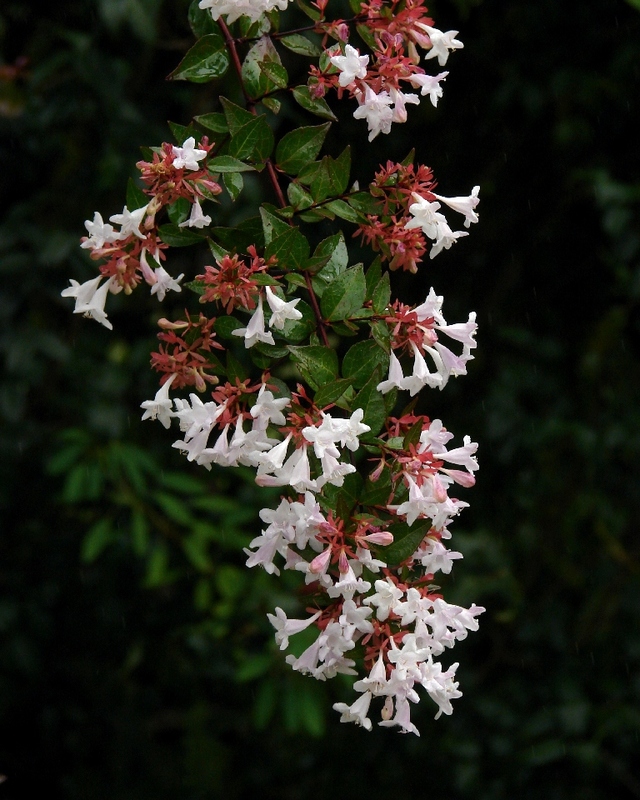 As far as I know, Forsythia and Abelia are not on any invasive species lists. 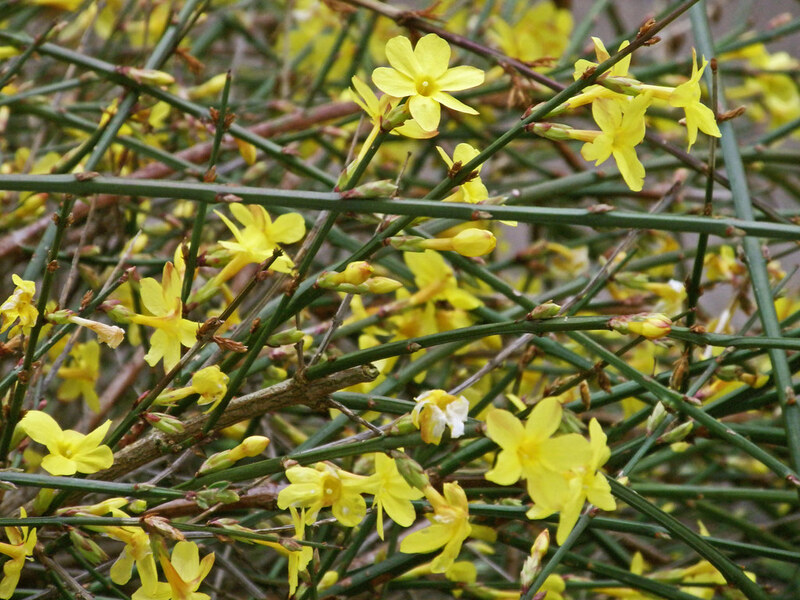 I think Winter Jasmine can 'invade' in the sense of spreading aggressively and vigorously through tip-layering, but I don't believe it spreads long distances by seeding. So why plant exotics and why these specifically? I'm not sure that they all can handle compacted, poorly-drained clay soil, but I've planted the Nandina and the Winter Jasmine on a bit of a slope where I hope the soil will drain a little better. And I've tried planting all of these shrubs a little bit on the high side, which I've read can help when dealing with compacted clay soil. Why not just bring in massive amounts of soil to create a raised bed or heavily amend the soil I've got? I have a couple of reasons, but a big part of it revolves around a gardening mantra I read recently in The New American Landscape: Don't Fight the Site. I believe there's a good deal of wisdom in those four simple words. My land encompasses around 3/4 of an acre and nearly all of it is heavy, compacted clay. But I'm not alone. Many, many other people in the United States face similar "soils". And these soils are not all bad. From what I understand, clay can hold a lot of nutrients. We clay gardeners don't need to worry about water draining through the soil so fast that plants can't capture it (a worry, as I understand it, of those gardeners blessed/cursed with sandy soil). I want to encourage sustainable, low-input, low-cost gardening. I don't want gardening to only be for those people who can afford to have good soil trucked in. And I know that there are often a lot of ecological costs behind the scenes to creating, packaging (sometimes) and transporting that soil. I'd rather work with what I've got. And some plants, I'm discovering, seem to be able to thrive in heavy clay. Others can cope with it. And as I discover which plants are OK with clay, and as I add more of them to the garden, I believe that their roots and their decomposing leaves, and all the insects and worms and tunneling animals that live in the garden will work the soil for me and gradually make it better and more friable. Some of the plants (e.g., the Abelias) I've also chosen for their 'ecological services' (ability to attract and feed bees and butterflies over a long flowering season. One (the forsythia) I've chosen for its reputed ability to provide rapid screening in an area where I could really use some privacy. I picked the Winter Jasmine in my continuing quest to explore potential groundcovers that could free me (and many other gardeners and homeowners) from the endless cycles of mowing and mulching that currently afflict suburbia. Both the Forsythia and the Winter Jasmine I also chose unabashedly for their reputed ability to produce cheerful yellow flowers in late winter or early spring -- a time of year when I could really use a pick-me-up. 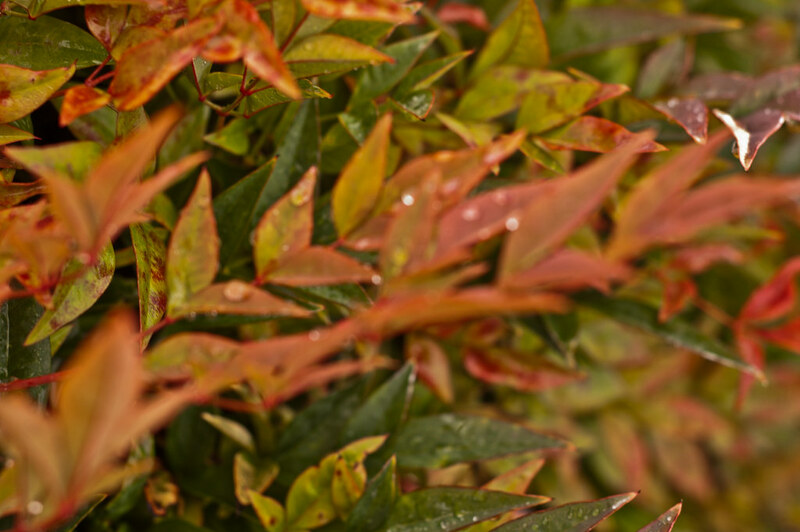 The Nandina I picked really just for ornamental reasons -- it's got beautiful fall color -- and reputed toughness. I understand it may spread a little through underground stems, but (if it survives/thrives) I expect it to function more as an accent than as a large scale solution in the garden. Oh and of course there's another major reason I bought and installed these plants -- they're what I could find. I have plenty of ideas for other tough plants, many of them natives, that I'd like to try, but they're impossible to find locally. I've just ordered some via mail order from a regional nursery and hope that I'll be able to plant and introduce them shortly. Hopefully they'll arrive soon and I'll have some more newcomers to introduce to you all.